New illustrations on San Francisco’s booming Mission neighborhood are out in this month’s issue of San Francisco Magazine. 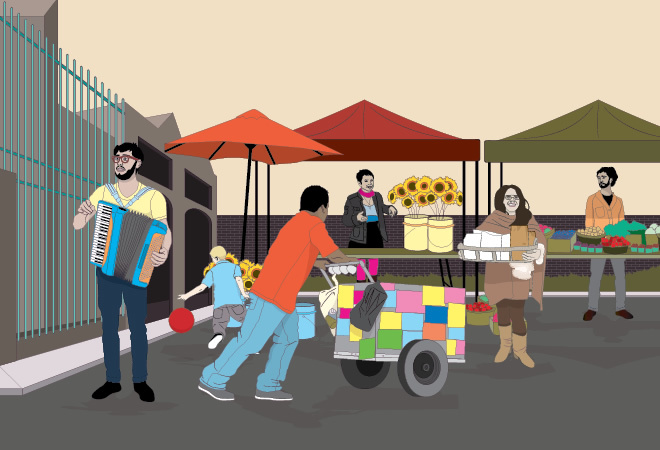 The illustrations depict an ongoing street view of the buisinesses and people that make the Mission one of San Francisco’s most interesting and upcoming neighborhoods. Pick up your copy on stands now and check out this collaboration with Mike Jeter and Jayde Fish.